A little more's been done on the Japanese lamp, namely the internal lamp fittings which have been made in 6mm acrylic (Perspex). The reason for doing it this way is that any shadows cast by the lamp will be kept to a minimum. This stuff is easy to work but doesn't like edge tools so a disc or belt sander is the best thing I've found for smoothing edges...then finish with a bit or sandpaper and a cork block. The fitting consists of two 'L' shaped pieces with a bridge across the middle with all three bits being bolted together with 4mm nuts and bolts. Firstly, assemble all the bits and pieces that are needed. A bending jig (left) and a heating mask (right) with cramps set to the right opening, together with a chinagraph pencil (excellent for marking plastic). ...so that once the plastic has come up to about 140degF it goes straight into the bending jig. If it's too hot, the acrylic will start to bubble (bad) and if it's too cold it will crack (even badder) when it's bent, so a little practice enabled me to find the 'Goldilocks' temperature when it was just right. Once everything had cooled down and had been cleaned up, drilling the holes for the nuts and bolts was easy...no more than a couple of hours work all told for the whole exercise. hello Woodbloke, may i suggest polycarbonate sheet... immensely strong and many advantages over anything 'perspex'... a material i never now touch. also handy to touch-up with Cannings 'Vonax' to buff out any marks etc on completion. 'normalising' or stess relief is actually quite important for many plastics, ie sticking it in the oven and that is why i go for the more expensive 'Ertalite TX' branded material for my honing guide wheels, its stated as certain it has been through this subsequent heat treatment as opposed to lower cost alternatives. shoji, little boxes .. good stuff! Thanks Richard, I'm a big fan of yours and have a lot of the stuff you make, inc the No.III honing guide..excellent piece of kit! Being somewhat of a tight fisted old git, I have a small box full of acrylic oddments (acquired in another life) that I use for this sort of thing, but as it's only rarely that I use Perspex now and I don't expect to use it very much any more...thanks anyway for the info on the polycarbonate sheet. Wow! 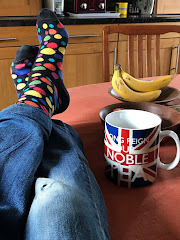 !...the 'Blokeblog' is certainly moving in exalted echelons these days...wonder if HM reads it munching her morning toast and Early Grey cuppa?